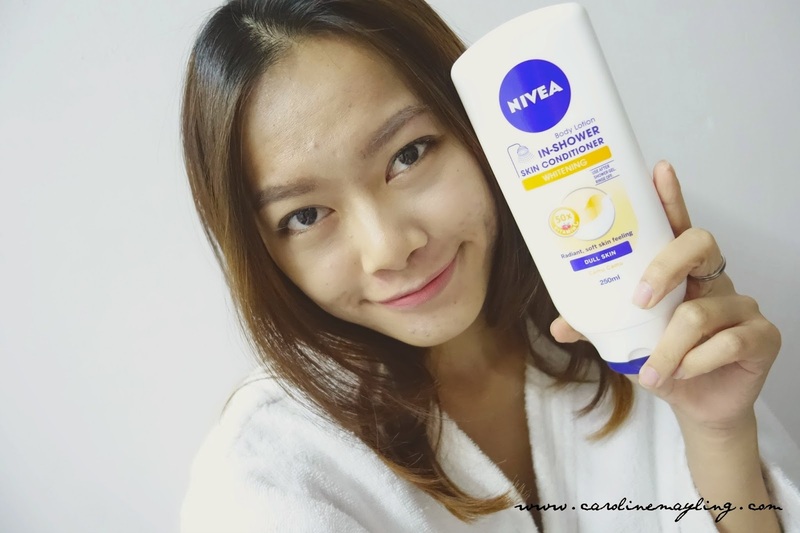 Well, I bet most of you have already known how much I love the NIVEA In-Shower Skin Conditioner as I've blogged about it HERE and HERE! I've tried the blue (dry skin) and white (normal skin), in fact, I use them every single day till now. As you all know, I just got back from my recent beach holiday and I thought it's time to try the new NIVEA In-Shower Whitening skin conditioner that not only help to moisturise and nourish the dull skin, but also gives the whitening effect! I am truly amazed with how moisturize my skin and I find my skin are getting smoother and radiant by using it twice daily during shower time. With the new NIVEA In-Shower Whitening skin conditioner, I can totally skip the step of whitening/brightening lotion application after shower! Watch the video above to see how much Erin Malek, Nadia Heng and Emily Quak love the NIVEA In-Shower Skin Conditioner! To make more people aware that now they can maximize moisture in the shower, NIVEA is launching "I LOVE NIVEA In-Shower Body Lotion" campaign to invite Malaysians to be part of this revolution. 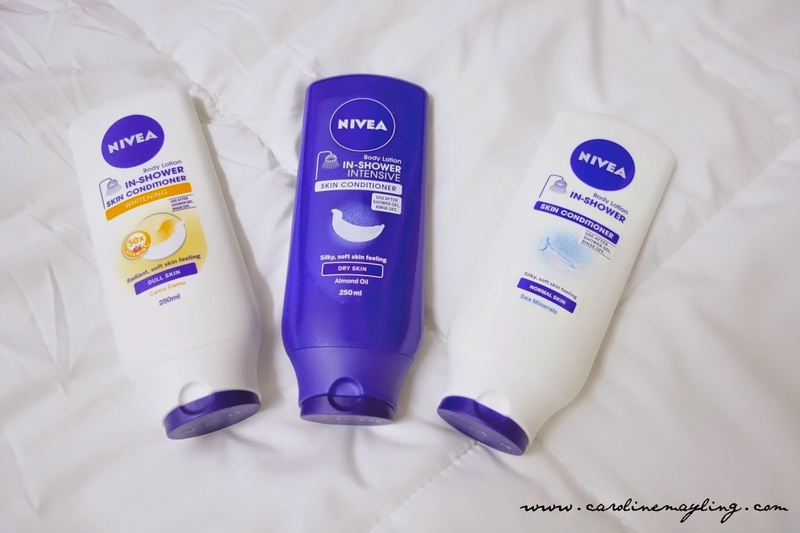 Love NIVEA In-Shower Skin Conditioner? Don't be shy and head to NIVEA Facebook Page (apps.facebook.com/iloveniveainshower/) to declare your love for this breakthrough innovation now!